It’s no secret that for a long time video games have been the domain of men. With countless titles catering to stroking the male power fantasy, it’s no surprise that a lot of people think women shy away from games. But a physiological lack of crotch-tackle doesn’t mean you can’t enjoy those same experiences, plus with all the casual and social games being developed there’s tons of girl-specific content. 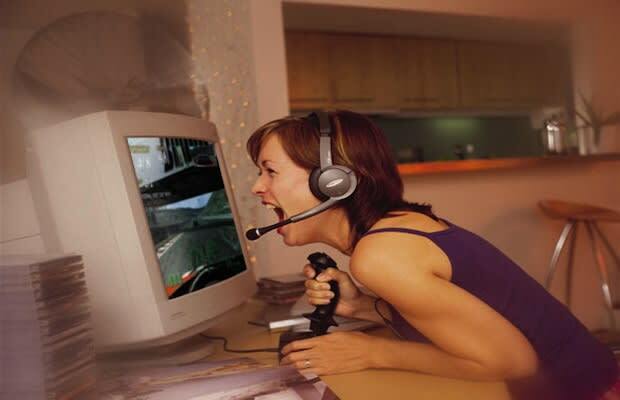 Gaming has actually become so prevalent amongst females nowadays that they currently make up at least 40% of the game playing population according to the ESA. The only thing that’s keeping it from being a 50-50 split with the guys is the negative attitudes some men have towards women enjoying the same things as they do.